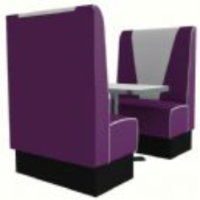 If you were born in the 1950s or 1960s, chances are you remember heading to the local diner as a teenager, sitting in a dining furniture booth. The dining furniture booth remained popular for both homes and restaurants and today, is considered a staple for many people. Due to the configuration, the booth fits nicely into small spaces, creating much-needed eating room. The booth also creates a cozy seating arrangement for couples or a fun way to dine with children. 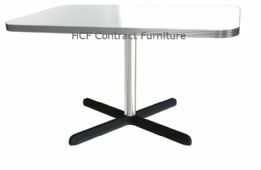 Retro seating, superb quality chairs, generous and thick-padded easy-clean seats and backs with heavy gauge steel construction. 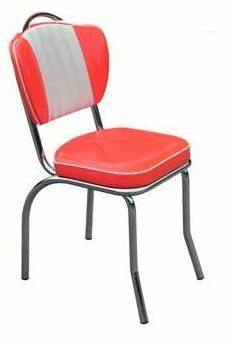 These retro chairs are very durable and will look great in any Diner, Restaurants, Canteen, Leisure Room or Bar.